Cinema can both entertain and inform, sometimes simultaneously. But when we use the term ‘entertainment’ what is exactly meant by it? Is the immersive experience of either a narrative fiction film or documentary that invokes an emotional or intellectual response not on some level a form of an entertaining experience if it captures our attention? The Divide (2015) is a documentary film that could be described as entertaining, but in the context that it immerses you in a compelling critique of the impact of inequality on society on an individual and collective level. A co-founder of Doc Heads, a support network for documentary filmmakers, Katharine Round has worked with three of the UK’s terrestrial broadcasters: producing and directing The Magicians (2011) for the BBC, producing Ramsay’s Kitchen Nightmares (2004-05) for Channel 4 and directing an episode of Hidden Lives (2005) for Channel 5. It seems strange to identify The Divide as an adaptation, a term usually more at home within narrative fiction. But her documentary takes Richard Wilkinson and Kate Pickett’s The Spirit Level: Why More Equal Societies Almost Always Do Better (2009) and translates the discussion within the non-fiction text to the screen. She creates an exploration of the role inequality plays in social outcomes for a cast of everyday real life people, using film as a means to merge social science with the personal. In conversation with Film Frame, Round discussed her evolving interest in documentary as an inquisitors art form, the resurgence of documentaries and the lack of distinction between narrative fiction and documentary films. She also reflected on the role of crowd funding and the place of the festival within contemporary cinema, while discussing her ambitions for The Divide and her approach to balancing social definitions and the human element. Film Frame: Why a career in documentary filmmaking? Was there an inspirational or defining moment? Katharine Round: I have always been fascinated in what makes us who we are and the world that we live in. I started out with an interest in film as well, and so the idea that you could make a film which would in a way reflect our world and the people in it seemed like a bit of a dream. As I have been making films this is something that has kind of driven me throughout, and in recent years there has certainly been a huge resurgence in people’s interest in documentaries. So in terms of what they can say and the various issues they can debate in society, as well being an art form, I have had an interest in this development and what it means to the work of other filmmakers and I. Film Frame: Documentaries have a long and storied history. In the past news excerpts have been screened in theatres and so we should always be careful to not contextualise the documentary as discovering an accessibility, but rather as you phrase it a “resurgence.” Although in hindsight there seems to be a natural ebb and flow to the audience’s interest in documentaries. Round: Yeah definitely, and the new distribution and production has perhaps been one of the reasons why it has become much bigger in recent years. A lot more of these films are being made for the cinema and now have the opportunity to be seen there as feature films. There are some brilliant films and I think the new generation of filmmakers are very creative with the documentary form. In the past you might have thought documentary was something you would just watch on your television – a Panorama programme or such. It is such an exciting and evolving area of filmmaking now where a lot of really creative work is being done, and I think this has only added to the interest in it for audiences as well. Round: Well I think there is actually a false dichotomy between them because to me they are both film, and I judge them as film. In some sense I don’t necessarily think: Oh, I am making a documentary rather than a fiction film. It is as if I am trying to tell this story in the best way possible. The caveat that I have is that what I am telling is true. It is based on real people, but obviously throws up lots of issues around representation, the process and the ultimate product. But fundamentally when you are crafting a film, be it documentary or fiction film, it is the same process – the same skills and storytelling are being used. In a way I have always thought it was odd that some people, not necessarily documentary filmmakers, make more of a niche. But what you are actually doing is making your film that just happens to be based on the real world. Film Frame: We must remember that storytelling, narrative fiction as well as documentary are all dependent on reality. So in a sense they all derive from the same source. Round: Narrative film writers when they write their works are obviously inspired by the real world, and in essence we are just using a different process to capture it. And documentaries are made in very different ways as well. There is not one way of making a documentary. Observational documentaries capture the world and the people in it, using that material as a way of projecting the story that they are trying to tell and of the people they are looking at. Other documentary films are actually much more written. They are polemics, and so in a sense they are all trying to make sense of the world, and trying to tell a story that is going to engage people. As documentary filmmakers we are offering up an interesting kind of understanding of why, and trying to get people to look at the world differently. This is just a part of our curiosity about the world and how we can represent it in a way that is going to help to make it a better place. Film Frame: One question I should ask you is why this project and why now? And in addition what were your ambitions in making the film? Round: The origin of this film was reading the book The Spirit Level by Richard Wilkinson and Kate Pickett. In essence it explored the relationship between levels of inequality in society and various different social outcomes: health, anxiety, trust and violent behaviour; attitudes towards imprisonment, status and so on. It is a wide ranging book and I suppose I found it fascinating just because of what it was saying about what makes us who we are – how the structure of the world and the economy we live in can pull psychological and intimate levers in all of us. It can affect our behaviours and how we think and see one another, and ultimately fundamental things like our health. So I suppose it was the challenge of how do you tell that story in a way that it is going to feel very personal and immediate? How do you draw people into the meaning rather than for it to just be a talk piece about why it might be wrong, or a load of facts about the outcome. The approach that I took was to tell the stories by interweaving the cast of people who on one level are completely unrelated, but on another level are all experiencing in their lives each of these social outcomes, yet in different ways. The approach was to sort of weave that through with archive and commentary, and how the wealth and income distribution has changed over the last thirty-five years. In essence it is trying to be quite personal and to look at the social outcomes – to try to tell the story of social division while underpinning that with what’s changed in the big picture, which has pulled levers in every single one of the people in the film. Film Frame: No matter how personal an issue and how you seek to show the interconnections on a human level, there is a point that we can interpret life by translating the personal into a scientific or mathematical dimension. The Divide features a personal quality running in parallel to the statistical data that explores this connection between the two. Round: Obviously when you are portraying life on film, and given the sort of material I was working from, I was exploring how those economic situations were driving all of those behaviours. And of course purely representing that as a film, but also making those lines clear because these are things that we see around us. It’s not that we are unaware of health issues, anxiety or violent crime. It’s not like it’s something we don’t see in our lives, but I think it is being able to draw the lines between the big picture economic trends and the very human side of it. And that is something that a film can do. It’s raising those questions and getting us to examine the society we live in, and the links between these things to ask whether what’s been happening on the big picture has really benefited the world that we live in as individuals, as communities and as a whole? Film Frame: While we can only hypothesise in answering this question, how do you see the film playing for a future audience? Round: You hope that it shows it was a time capsule of a different time, and people will say: “What happened back then that we don’t see now?” The terrifying thing is that as I have been making the film and as time as progressed, it has not become less relevant. This issue has in fact become more relevant and pronounced. The very recent revelations with the Panama papers only highlight how at the moment it’s something that is not being addressed effectively. Film Frame: The collaboration between the filmmaker and the audience is a vital one and crowd funding has created a new level of interaction that now exists through the audience’s active participation to help make a film. How do you perceive the way that film is evolving and the benefits of this level of interaction? Round: Well it’s certainly a very good thing on one level. Ultimately those filmmakers that are trying to question the world, and as documentarians a lot of what we do is about questioning what is happening, it can be difficult to get support for those kinds of films through traditional sources. And you don’t necessarily want to have editorial ties that you might have through more mainstream commissions. As we know the arts funding has been cut, and so it’s very difficult to get big projects like this off the ground. Any way that enables the filmmaker and artist to connect more directly with their audience is a brilliant thing, and it’s a way for the audience to understand and support those things that they want to see. It is making it more of an active and less of a passive consuming role, more: I am a part of this project. And I think breaking down that relationship has been very good. 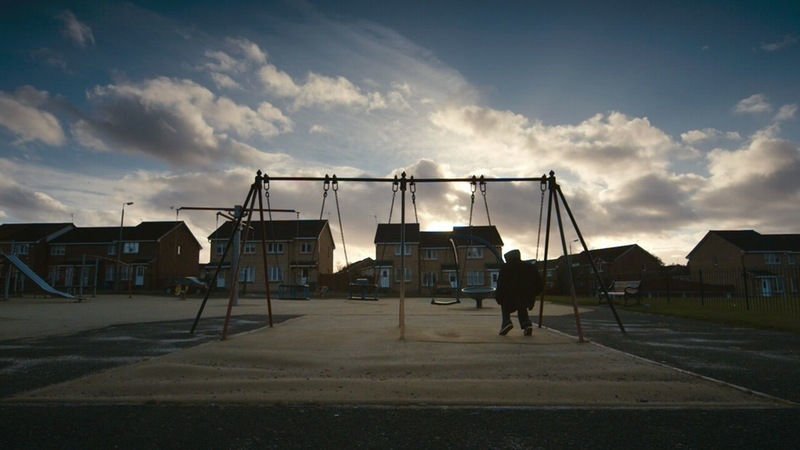 Film Frame: Is the breakdown of the relationship one of the reasons that documentaries are becoming more accessible and with time will this help documentaries to increase their accessibility? Round: It’s possible. One of the great things about engaging with your audience before you’ve even made the film is that you become very aware of what kind of audience is out there that will watch it. As filmmakers it is not something that we necessarily always think about. But in this day and age it is important to know who your audience is, and to have one before you embark on something like that. So that dialogue and process which incorporates the audience and the filmmaker is actually quite exciting. And certainly in terms of getting new creative voices out there that have something to say that might otherwise have not always been picked up by the traditional mainstream broadcasters. They are able to show that they have that audience in a way that feels a little bit more democratic than just through the normal gatekeepers who tell you whether you can make a film. Round: Well I think it depends on the film. Festivals are fantastic places for getting your film seen and getting it out to a wide number of people, as well as to build those relationships regarding wider distribution. I don’t think you can necessarily bypass them. 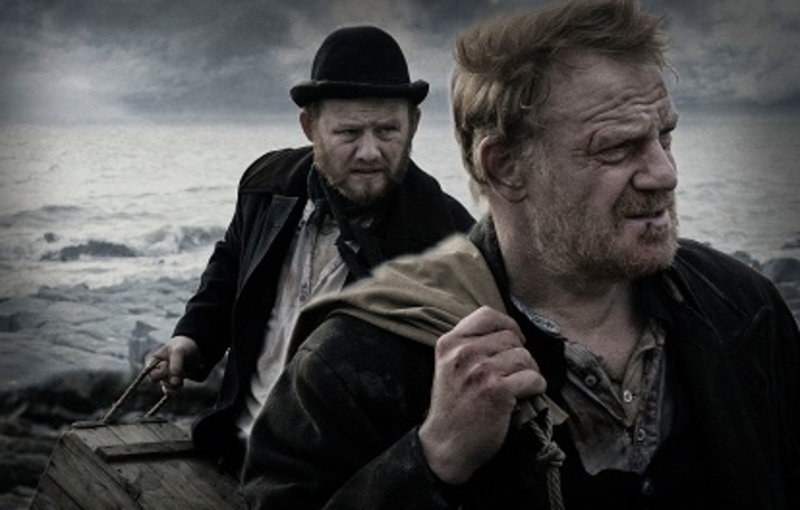 There are some films that work brilliantly as festival films, and it’s not intending to have a mainstream cinema release or broadcast that is in itself a good audience for a film. With this film we have had film festival screenings and then we are releasing it in cinemas in this country (UK). We will then probably take it to more festivals in other territories that we haven’t yet played in. But I think they are brilliant places for getting those connections and the first responses to the film. For me there is an important place for them, but some films do brilliantly and they never play at festivals at all. So I think it all depends on the film and ultimately where you see your audience as lying. You may decide to go straight to television and never show it at a film festival, and that might be perfect for that particular film. But for another film you’d want to build those relationships and get it seen in that way. Film Frame: So filmmaking is always a process of uncertainty – neither a right nor a wrong way? Round: I think so, and as I’ve gone through it with several projects there isn’t a one size fits all policy when it comes to making a film. Every time you start one you have to look at what’s best for that particular film and project. If your aim is to get it seen as widely as possible then I suppose you build your strategy accordingly. Not every film wants to reach a mass audience and in some ways having a much more niche strategy of engagement with certain festivals can be the way forward. I think that’s certainly something that I always have in mind with different projects – what is best for that project and what is it we are aiming to achieve with that project? Film Frame: German filmmaker Christoph Behl remarked to me: “You are evolving, and after the film you are not the same person as you were before.” Do you perceive there to be a transformative quality to the filmmaking process? Round: It’s terrifying! Yes, I think if you approach it correctly then that should actually be true because as filmmakers you have to go in there with an open mind and open heart. You have to really put yourself through it in order to tell the story in the truest and most effective way. And if you are too detached from that process then I think it comes across in the work. When you are making a documentary it often involves meeting people that you would normally never have met, and going into situations that you have never been before. It involves asking quite difficult questions of both other people and yourself. So yes, I think it does change you, and hopefully it changes you for the better because it allows you a greater understanding of the situation than you had before you started. 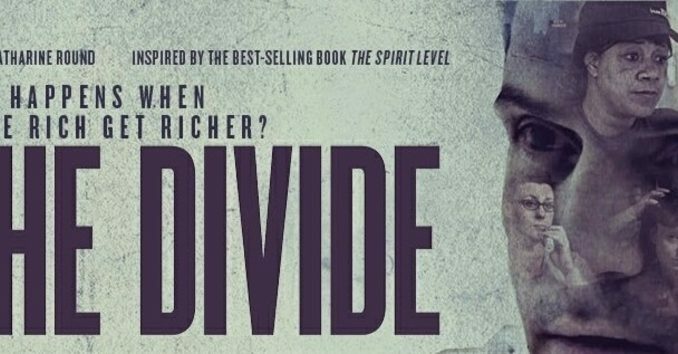 The Divide is streaming on Netflix in the UK and the US.